The software library can be found at Ken Shirriff’s blog. 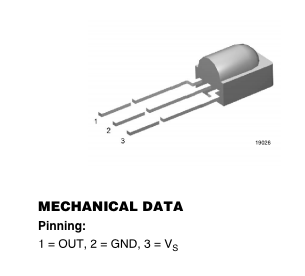 What you do is upload this sketch to your Arduino (I am not sure how well this works with Arduino copies, but I think it is safe to assume that it does) and then open up the serial monitor, aim the remote at it, press some buttons, and read the resulting values. The only con to this is that you have to have a clear line of sight and as you might imagine the range isn’t all that great. unsigned long value1 = 0xXXXXXXXX; // where XXXXXXXX is on our your remote's values. You need the “0x” in front of it. unsigned long value1 = 0xXXXXXXXX; // where XXXXXXXX is on our your remote's values. The low cost and versatility of these are what make them so great, as well as their ability to take a real beating over time. Available from practically every electronics vendor they will soon make their way into your projects if they have not already.